Saturday night is the night! 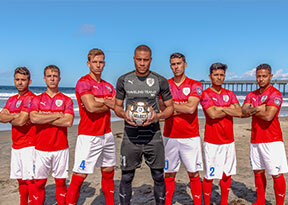 ASC San Diego is back on its home turf at Mission Bay Stadium to take on Temecula FC. After a disappointing road trip, coach Ziggy and the team are ready to be in familiar territory playing for their hometown crowd. Come show your support! ASC was traveling north for their last two divisional meetings. Both of the matches had their share of exhilarating ups and disappointing downs. The first match on Sunday against AS Los Angeles included solid scoring attempts by Dallin Cutler and Adan Martinez and Jean Antoine showed us his masterful skill including a huge dive to stop a penalty kick just before the final whistle blew. Unfortunately ASLA was able to find the back of the net for the only goal of the match. 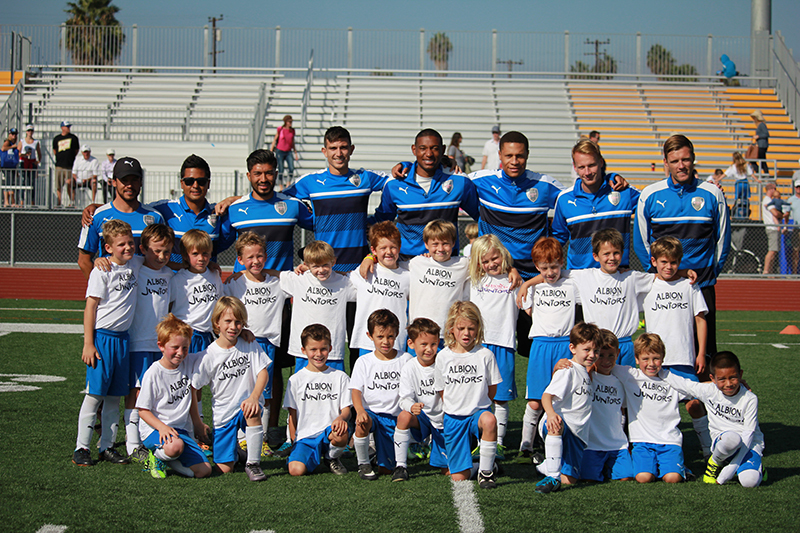 They scored in the 67th minute leaving the final score 1-0 in favor of the Los Angeles team. The second away match this past Wednesday in Whittier against FC Golden State was just as disappointing. 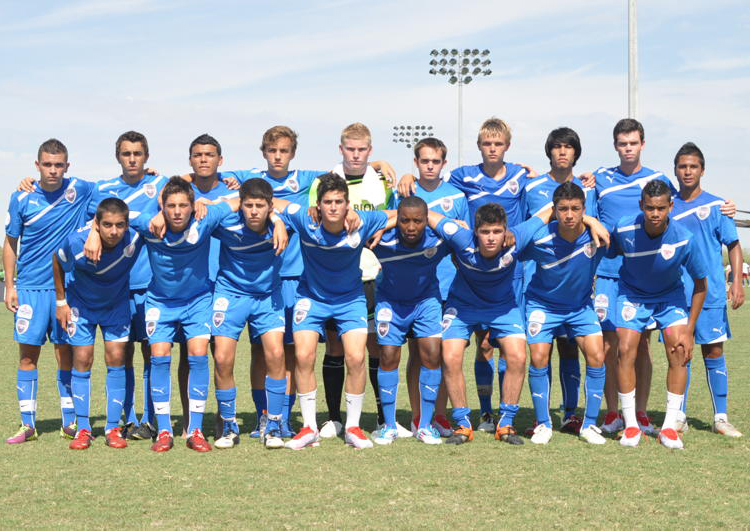 Aside from the 3 -1 loss, three ASC San Diego players were taken off the pitch injured. Jean Antoine and center back Khadim Seye collided in the attempt to stop a cross to an FCGS striker. Back up keeper Chase Boulton got a chance to show us a bit of his skill between the pipes. He had some great stops, but Golden State was just too powerful. ASC’s only goal of the match came from the leg of the skipper, Kuba Waligorski in the form of a penalty kick in the 69th minute. 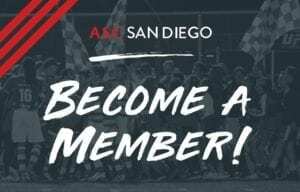 Soccer fans – don’t forget – ASC has partnered with the legendary San Diego Sockers to offer you the best of San Diego soccer in a combo ticket. 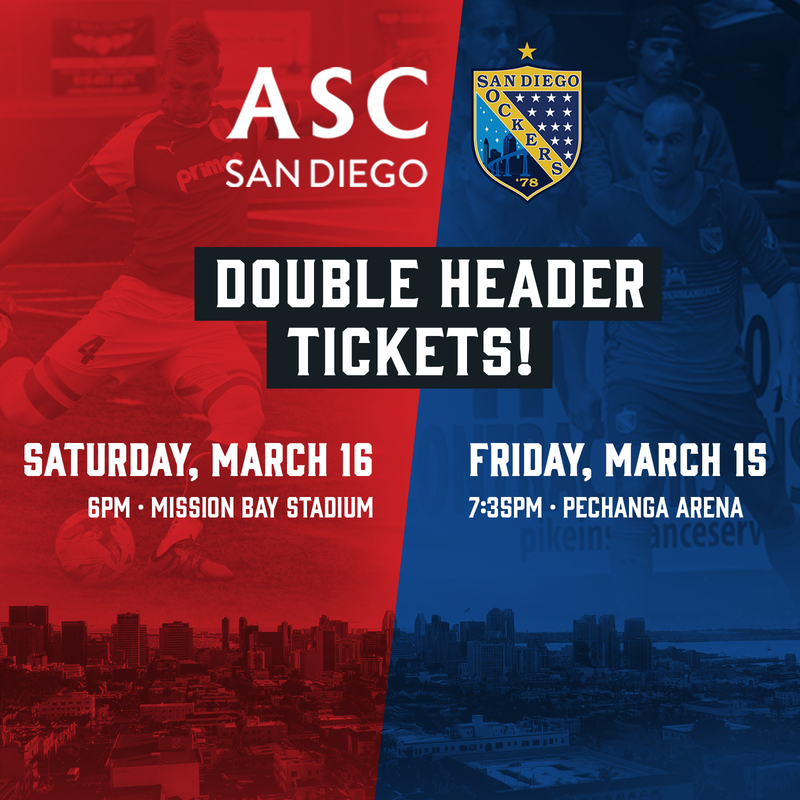 For one weekend only you will get into the Sockers’ match on Friday night then use the same ticket to get into ASC’s match at Mission Bay High School stadium on Saturday night! Just purchase your back to back ticket and come support local soccer!